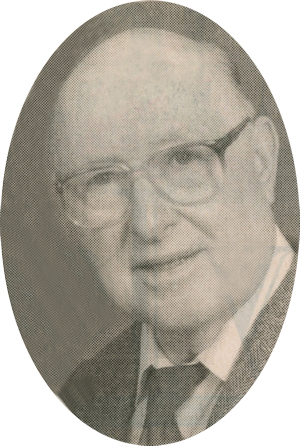 Obituary – Hess, Glenn Colon « Perry High School Alumni Association, Inc.
﻿Glenn C. Hess, 91, of Blackfoot, passed away Sunday, March 25, 2007 at the Bingham Extended Care Facility. He was born on March 4, 1916 in Perry, Oklahoma to William Alac and Mary May Allison Hess. Glenn was raised and received his education in Perry, OK.
On October 20, 1939 he married Leona Ester Hageman in Perry, OK. Three sons were born to this union. Leona preceded him in death on September 4, 1999. On March 26, 2002 Glenn married Thelda C. Woodland, she preceded him in death on August 23, 2004. While living in Perry, OK, Glenn owned four grain harvesters and worked for 8 years harvesting grain from Texas to Canada. In 1957 Glenn moved his family to Blackfoot, where he worked in construction until 1971, when they moved to Oregon. While living in Oregon Glenn worked for the Safeway Grocery Co. as a diesel mechanic for the truck fleet. They returned to live in Blackfoot in 1991. In his spare time Glenn enjoyed hunting, fishing, gardening and traveling. He is survived by his sons, Harvey (Sonja) Hess of San Diego, CA, Robert (Colleen) Hess of Shelley, ID, Vernon (Carren) Hess of Blackfoot, ID, 14 grandchildren and 34 great grandchildren. He was preceded in death by his wives, Leona and Thelda, and his parents. A memorial visitation will be held at 11:00 a.m. Monday, April 9, 2007 at Hawker Funeral Home, 132 S. Shilling Ave., Blackfoot. The family suggest that in lieu of flowers memorial contributions be made to the American Legion Stewart Hoover Post #23.